It seems that the warnings issued last month about Capitol Peak, CO fell on deaf ears as Mountain Rescue Aspen had to respond to a 911 call yesterday from a climber stuck on the 14,137-foot peak. There were 4 fatalities on Capitol Peak last year, prompting climber Brad McQueen to issue the warning that ‘there is no shortcut down Capitol Peak’.Once you have reached the summit, you have to descend the way you went up, back along the knife ridge. There are routes that seem to be ‘shortcuts’, that in fact lead nowhere except to trouble, and potential injury and/or death. I hope we are successful in getting the word out before folks launch on their Capitol attempts this year – GO BACK ACROSS THE KNIFE RIDGE and descend your ascent route. Pitkin County, Colorado – 7/10/2018 – On Tuesday, July 10, 2018, around 4:30 p.m., the Pitkin County Regional Emergency Dispatch Center received a 911 call from a climber who reported that he was stuck near Capitol Peak and needed assistance. 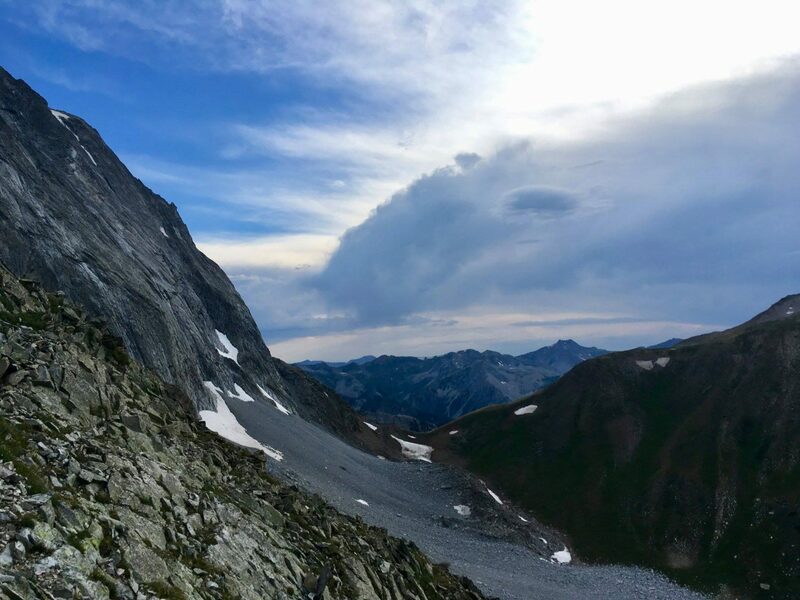 The caller, later identified as Eric Millers of Iowa City, Iowa, stated that he had ventured off-route on the descent from Capitol Peak to Capitol Lake and was now stuck in a position where he could no longer descend or ascend. Millers stated that he didn’t have any injuries that would prevent him from climbing, but due to his fatigue and dehydration, he felt that the climb back up to the established route was too dangerous to attempt. Millers further stated that a thunderstorm had just passed through the area leaving him cold and wet. Capitol Peak is a mountain with an elevation of 14,137 feet in the Maroon Bells-Snowmass Wilderness area approximately 14 miles west of Aspen, CO. Capitol Peak is considered a difficult mountain to climb with numerous exposures and loose, crumbling rock. Around twenty members of the all-volunteer Mountain Rescue Aspen search and rescue team began to mobilize in order to attempt to rescue Millers. 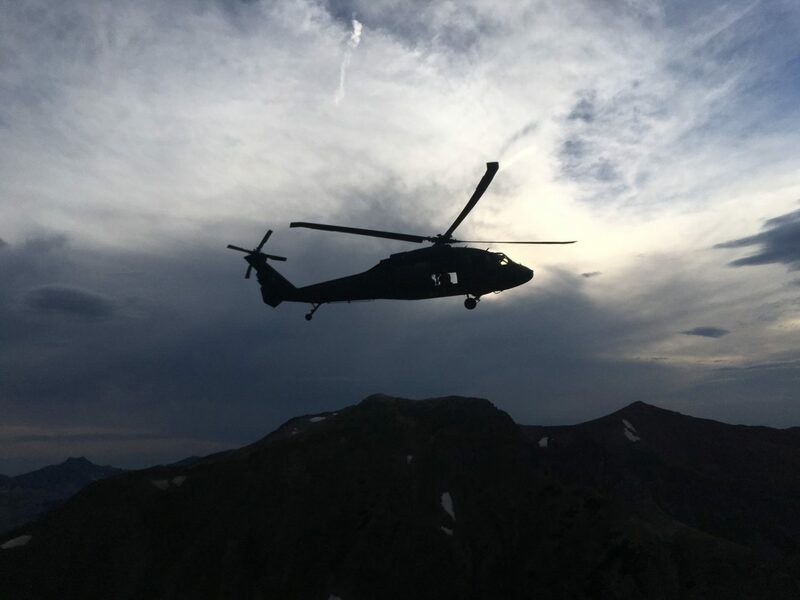 A Blackhawk rescue helicopter from the High-Altitude Army National Guard Training Site (HAATS) in Gypsum, CO, was called in to assist in the rescue. A two-person team of Hoist Rescue Technicians (HRTs) from Mountain Rescue Aspen boarded the Blackhawk helicopter at the Aspen airport, which was manned by four members of the military. At the same time, a four-person foot team of Mountain Rescue Aspen climbers began to hike towards Capitol Peak in the event that the Blackhawk helicopter would not be able to reach Millers. The Blackhawk helicopter, aided by a large arrow made of rocks on the ground and pointing towards Millers’ location, was able to find Millers around 6:40 p.m. Millers was well off the established route between Capitol Peak and Capitol Lake. A Mountain Rescue Aspen HRT was then lowered via hoist from the hovering Blackhawk helicopter to Millers. Millers was not carrying a helmet or harness, so the Mountain Rescue Aspen HRT fitted Millers with a helmet and harness and assisted him in being hoisted up to the hovering Blackhawk helicopter. After declining medical treatment, Millers was transported to the Mountain Rescue Aspen headquarters. Millers told Sheriff’s Office personnel and rescuers that after reaching the summit of Capitol Peak and traversing back across the Knife Edge (a section of exposed rock near the summit of Capitol Peak) he began to look for a shortcut back to Capitol Lake. Millers stated that his climbing partner did not want to take a shortcut, and after arguing about which route to take, Millers began to travel off-route in search of a shortcut while his partner continued on the established route. Millers said he soon realized that he was in trouble when could no longer climb downhill and could no longer retrace his route back uphill. At that point, Millers was able to call 911 and ask for assistance. Millers’ climbing partner safely reached Capitol Lake. The Pitkin County Sheriff’s Office and Mountain Rescue Aspen would like to remind backcountry enthusiasts to stay with their climbing and hiking partners when in the backcountry. No matter how enticing a shortcut may appear, those in the backcountry are strongly advised to remain on the established routes, especially on Capitol Peak. Established routes are established for a reason, as they are usually the safest routes for ascent and descent. All those who venture into the backcountry must be prepared for self-rescue, as there is no guarantee of rescue.